I know that gift cards are considered cop-out gifts, but sometimes they really are the perfect gift. My husband is a music-lover, but I would never be able to pick out an album that he was sure to enjoy. For Father’s Day, it’s much smarter for me to give him an iTunes gift card so he can download whatever new music he is interested in. 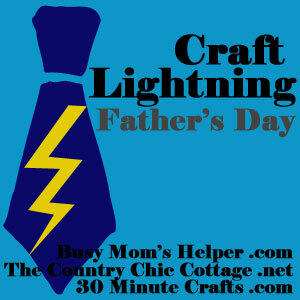 I am participating in another round of Craft Lightning with Angie of The Country Chic Cottage, Carolina of 30 Minute Crafts, and guest host Danielle of Busy Mom’s Helper. 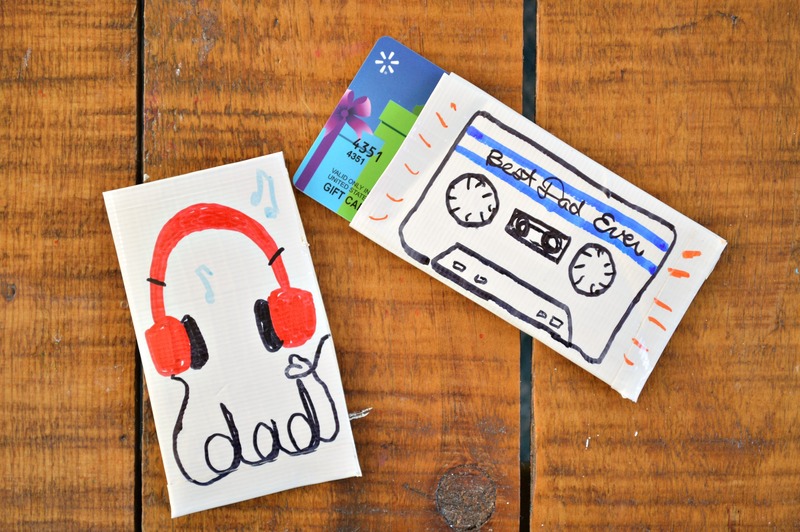 This month we are all sharing Father’s Day crafts that can be made in 15 minutes or less. I decided to personalize the gift card a bit, by making a handmade sleeve for the gift card. What material is better suited to a Father’s Day gift than duck tape! Watch the short video above to see how simple it is to make and decorate your own duck tape gift card holder. 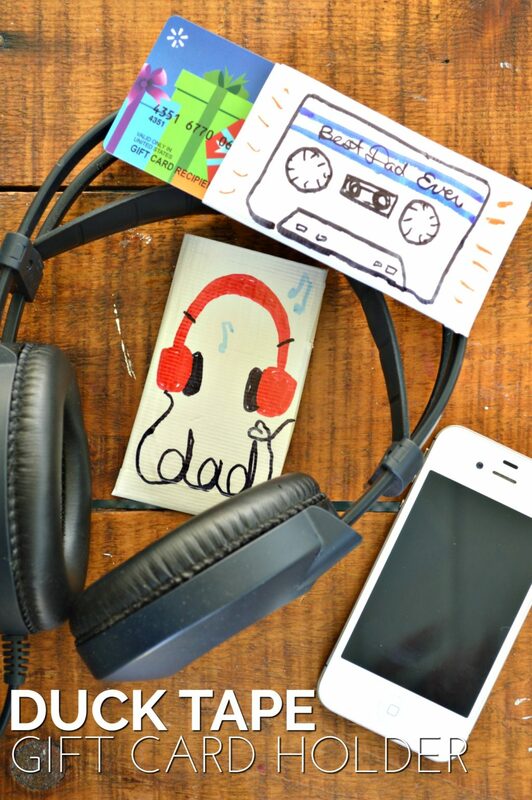 Visit The Country Chic Cottage, 30 Minute Crafts, and Busy Mom’s Helper all this week for dozens more 15 minute Father’s Day crafts. Great idea Jess! Thanks for joining!